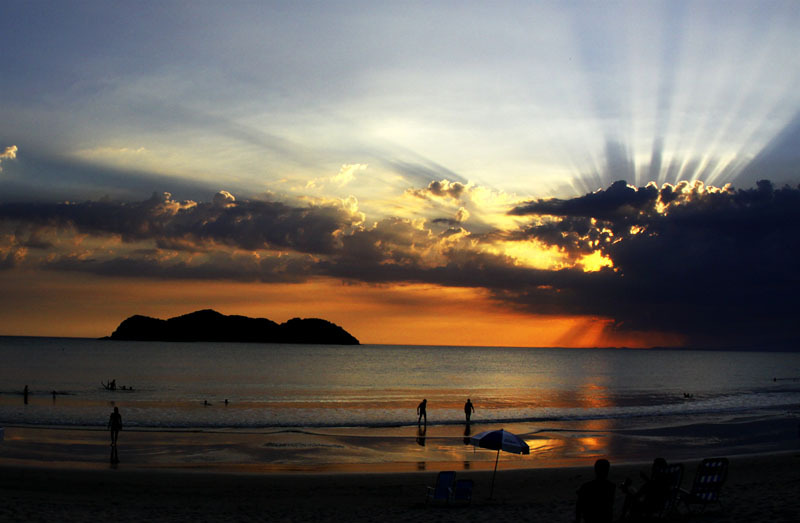 The hotel is located at Barra do Sahy beach, one of the calmest beaches in the north coast of São Paulo. Our suits, lofts and chalets are distributed in 8.000m2 of carefully treated landscape. 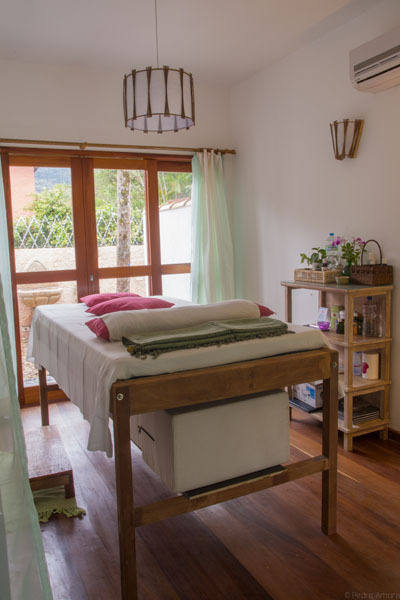 Here at Aldeia de Sahy there is place for each and every one, for all ages and needs: two pools, kids activities during holidays, tree house and playground, recreation room. 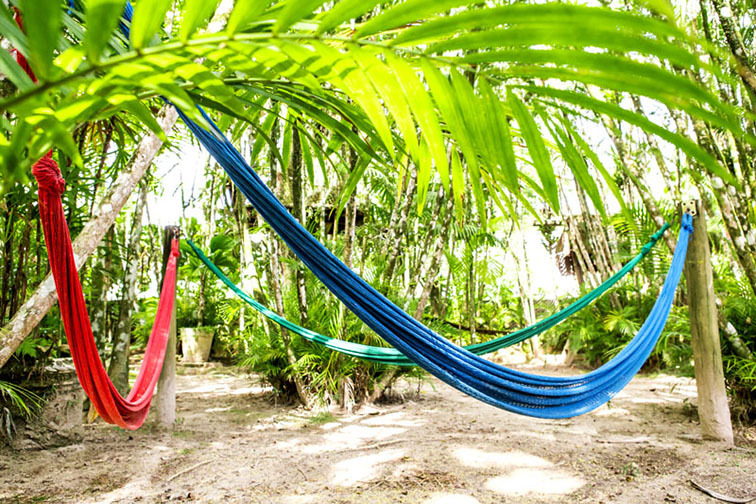 For those wanting to relax we have sauna, hammock area and spa, also many relaxing and revitalizing corners. 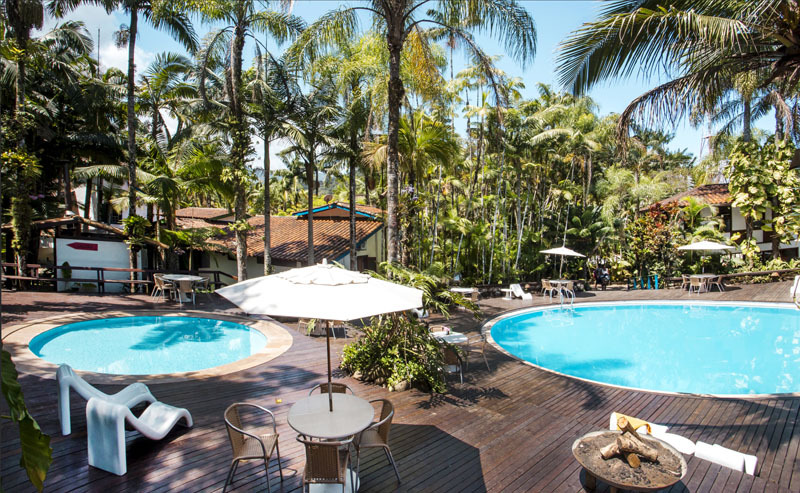 The hotel has 2 pools – the children’s one is heated – our restaurant that opens daily, spa zen, sauna, billiards, recreation room with ping pong, foosball and air hockey, tree house, kids playroom and more. Pindá Restaurant How about relaxing and tasting a delicious crab shell by the pool? Or lunch under palm trees? 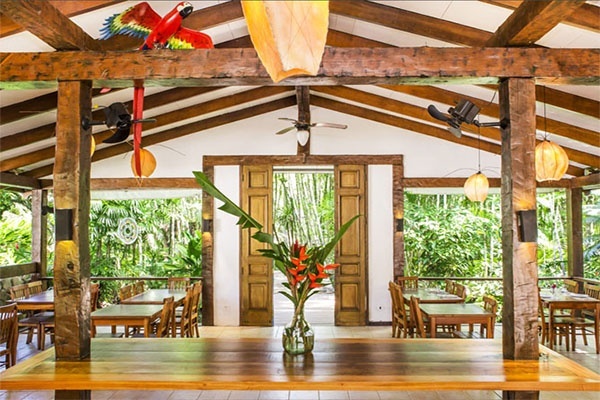 Pindá Restaurant opens daily and serves the best caipirinha and sautéed calamari of the coast. We also have kids’ menu. The playroom is a delicious space for kids to make a mess and have fun!! During Holiday season we have supervised kids activities, with arts and games. 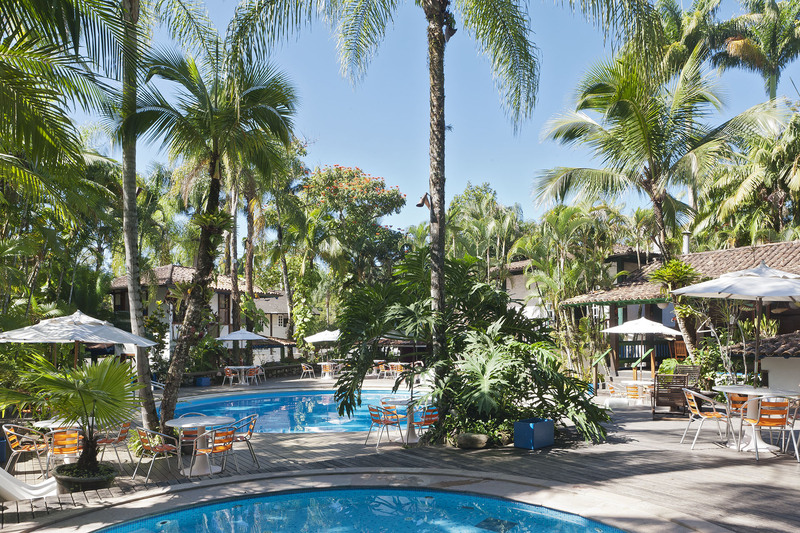 There are also outdoor games, under the palm trees by the tree house. Close to the park is the hammock area, good spot for relaxing. 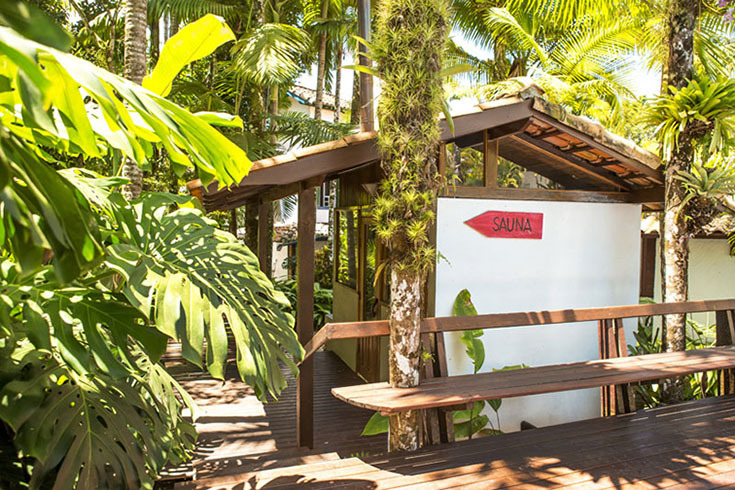 The sauna under the palm trees and with a view to the rain forest is an invitation for your wellbeing, relaxation and health. The sauna is lit daily at the end of the day, for other hours, just ask at the reception. The Spa Zen offers several therapies to ensure your complete state of relaxation. No lack of games and activities around here. 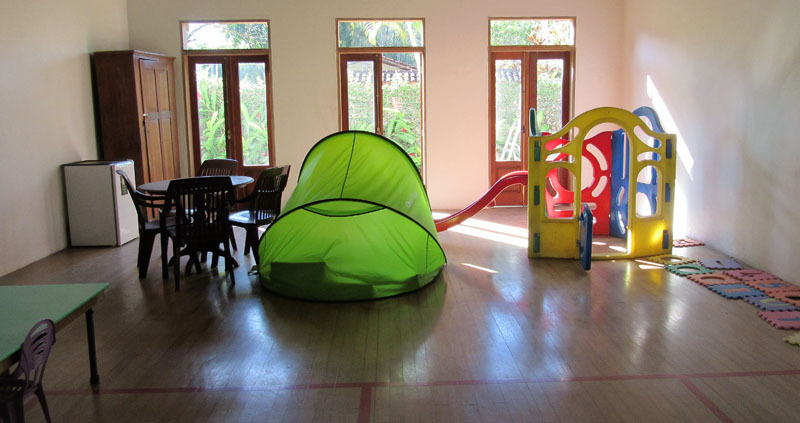 We have the kids playroom, also the game room with ping pong, air hockey and foosball. Best place for a competition at the end of the day!! 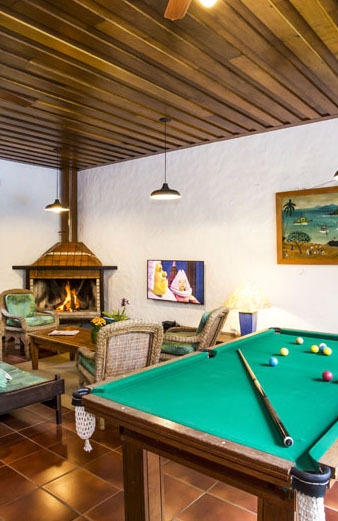 In still another room is the billiards and the fire place. In winter, after a lazy beach afternoon sitting in the warmth of the fire is uplifting. See how many happy guests and how many years of dedication! Meals served in the last year!